This shop has been compensated by Collective Bias, Inc. and The Coca-Cola Company. It's finally, officially fall in Colorado and it is definitely my favorite season. 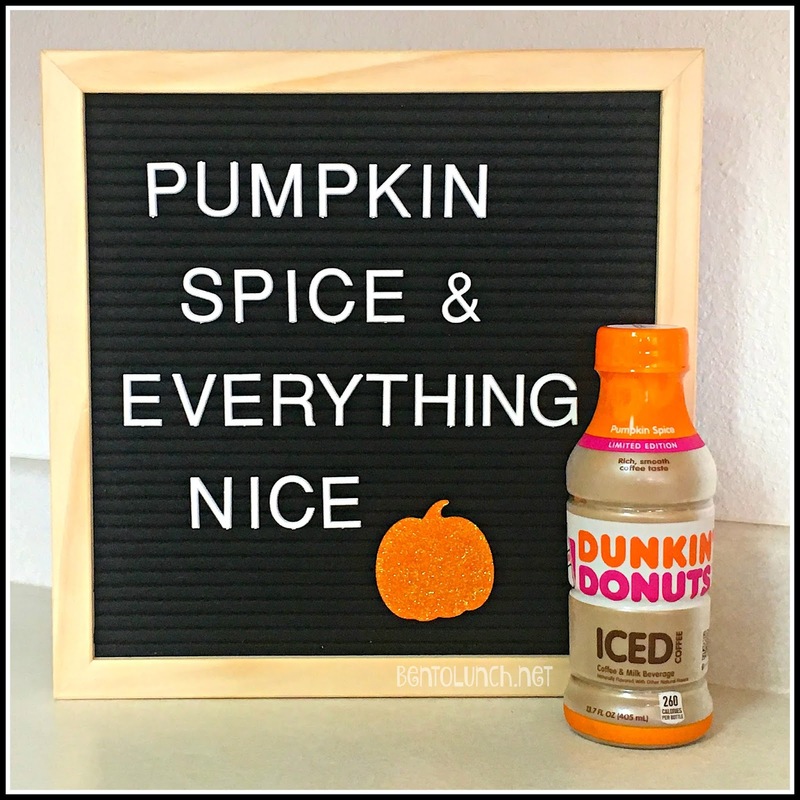 I'm loving the cooler weather, the changing leaves, and of course, pumpkin spice everything. But with fall, our family starts a whole new season of being busy, particularly with the kids. This year, they each have one day at their charter school, plus the girl has two separate days at the local college. There are also band rehearsals, Scouts, church, and soccer, along with the fact that they need to be driven to all these places. Since I'm spending a lot more time in my car lately, I'm making sure to take some time to treat myself. With the fall season and my general obsession with pumpkin spice everything, I am absolutely loving the Dunkin’ Donuts Bottled Iced Coffee Pumpkin Spice flavor for on the go times. 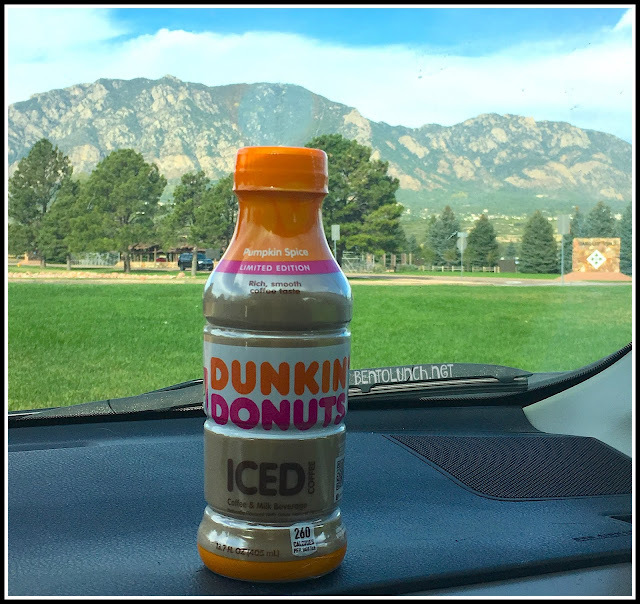 Did you know that Dunkin’ Donuts Pumpkin Spice is the #1 selling flavor in premium/ bagged coffee for the past three years? I'm not surprised at all, and the iced coffee is just as yummy. It's made with real milk and sugar and perfect to take anywhere with you, just grab and go! I just stop into my local Circle K for my drink, then head to wherever the kids are at. 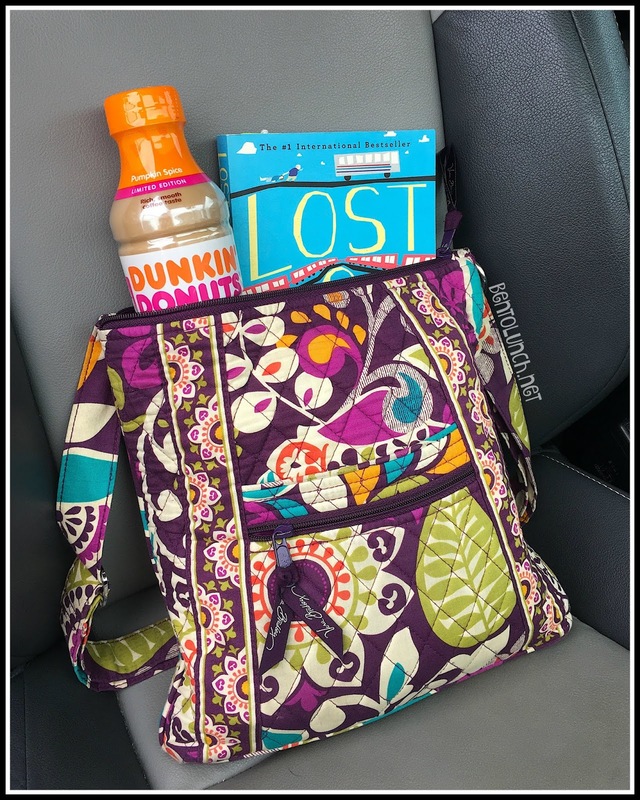 The resealable lid makes it a better choice for in the car too, and it pairs perfectly with a good book! To make things even more complicated right now, we are temporarily a one car family. After the summer hailstorms, we still need to buy a second vehicle after losing two in three months. On top of driving the kids, I'm driving my husband to work too. 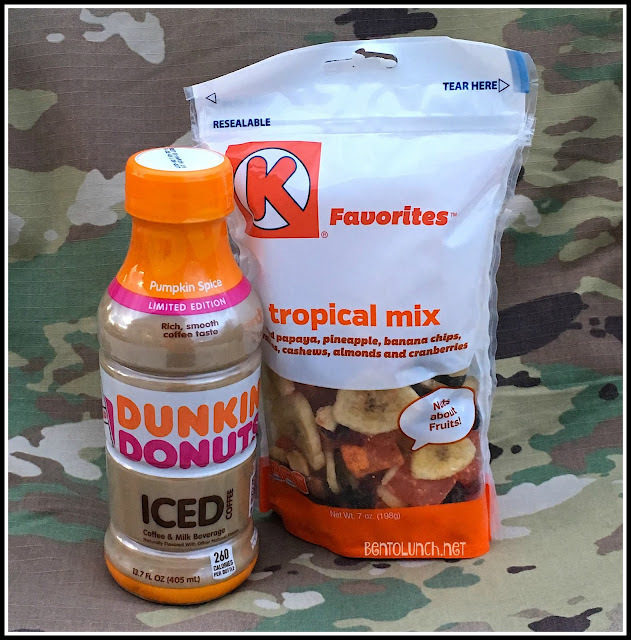 Since he's active duty Army, he's also always on the go and Dunkin' Donuts Bottled Iced Coffees are a great treat for him. I usually pick him up some trail mix or nuts to tuck into his cargo pockets when I'm buying our drinks. We need to both keep up our energy for our extra long days. We've found a bunch of mixes that taste great with our coffees, in several different sizes, which makes it easy to buy our own favorite varieties. Since he switches frequently between an office and a motor pool, iced coffees are even better for him. They're portable and ready-to-drink. He doesn't have to worry about a cold coffee since this one is meant to be cold and he can reseal it to finish later. It's definitely a win-win! 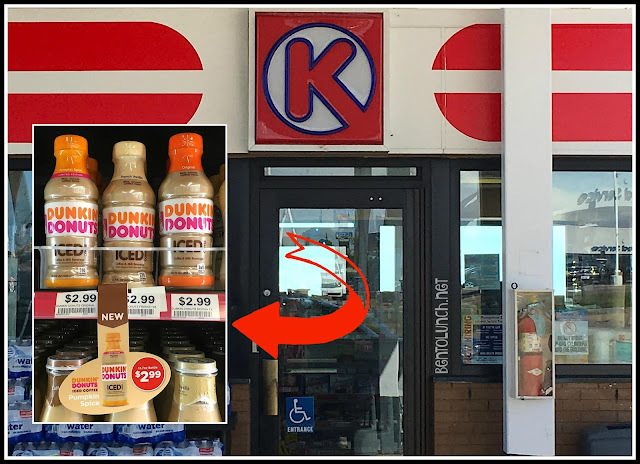 Click here to find your closest Circle K Store and grab your own Dunkin' Donuts Bottled Iced Coffee Pumpkin Spice. You won't be disappointed. What are your favorite little ways to treat yourself? 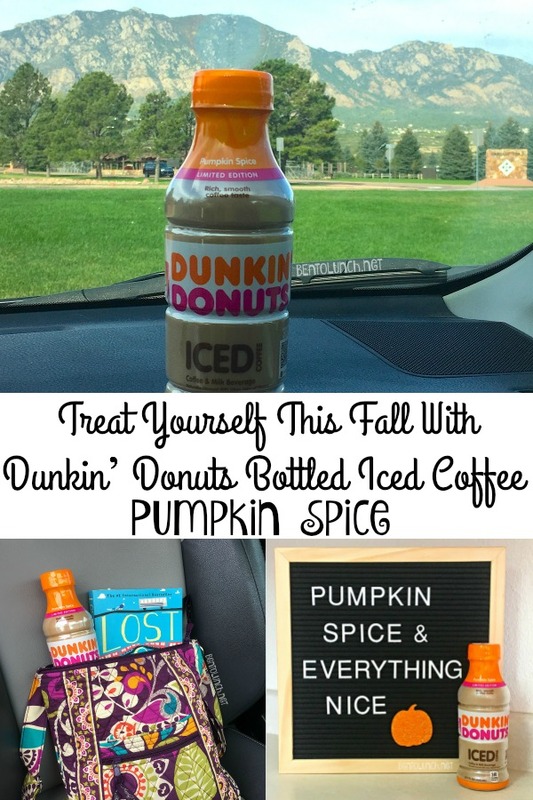 Dunkin’ Donuts Bottled Iced Coffee Pumpkin Spice,this is a real game changer and it doesn't matter if am in a bad mood..this always makes me happy.